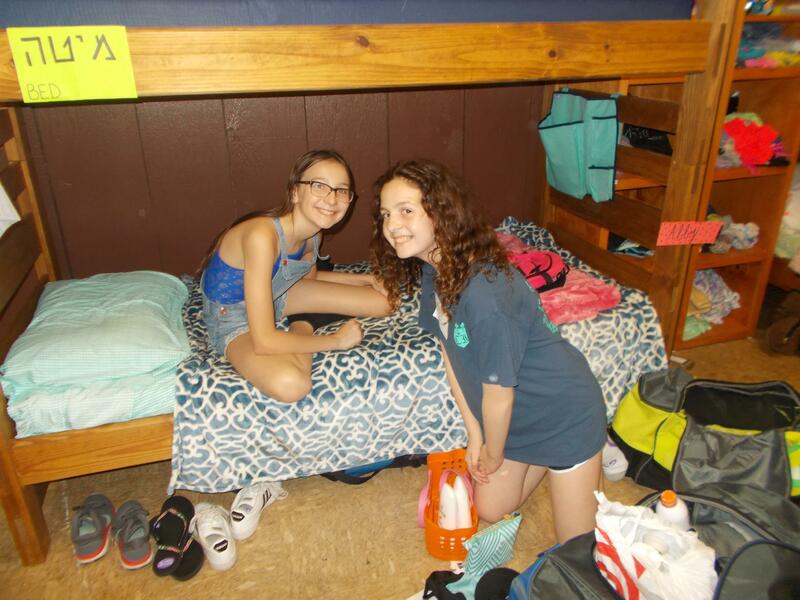 Every cabin has bunk beds for 12 to 16 campers and 4 staff members. Before campers arrive, their beds and cubbies are chosen for them—this way, campers have a space waiting for them when they walk in. Camper are allowed to make requests (in the Bunking Form) and every camper is guaranteed at least one of his or her requested bunkmates. The bunks are roomy and air-conditioned. They have their own sinks, personal showers, and toilets. Each camper has one side of the pictures cubbies to fit her/her things. The bunk is at the very heart of the camp experience. This structure takes a handful of campers and staff and transforms them into a family. Kids sleep, eat, live, and breathe as a bunk, creating an unbreakable team and an everlasting bond. It’s the setting for countless childhood memories and the birthplace of lifelong friendships.